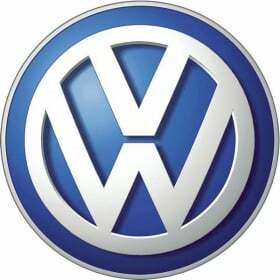 DETROIT (Bloomberg) -- Volkswagen AG forecast sales worldwide will increase 5 percent this year, after reporting record deliveries in 2010, fueled by growth in China and other emerging economies. Europe's largest automaker sold 7.14 million cars and sport-utility vehicles last year, an increase of 14 percent from 2010, sales chief Christian Klingler told reporters at the Detroit auto show Monday. VW group sales in December surged 23 percent to 545,400 units. “We will continue to fight for every vehicle in the respective growth regions,” Klingler said, citing VW's Golf and Audi's Q5 SUV among last year's best-selling group models. Volkswagen is counting on further growth in Brazil, Russia, India and China, along with momentum in the U.S., to narrow its gap with Toyota Motor Corp., CEO Martin Winterkorn said in Detroit. VW, which will open a plant in Chattanooga, Tennessee by April, has a goal of surpassing Toyota in sales and profitability by 2018. Growth in China, the world's largest car market, will “weaken somewhat” this year, Klingler said. VW's sales in China surged 37 percent to a record 1.92 million vehicles last year. Winterkorn said yesterday that global auto sales may increase to as many as 63 million units from 59 million in 2010.